i Click 'view all' to instantly compare this wait with offers on other top beats headphones. 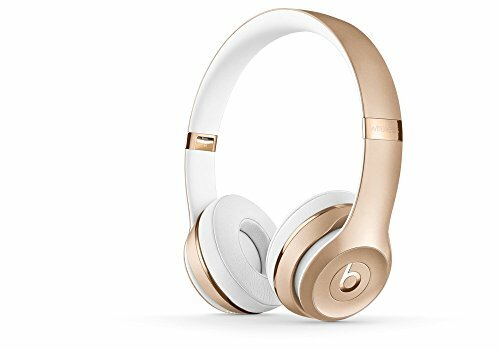 Beats Solo3 Wireless On-Ear Headphones - Gold is currently selling at $299.95, approximately $36.94 higher than average. With a lowest price of $224.95 and an average of $263.01 it is selling on the high end of its usual range. Price volatility is 0.45% (meaning it does not change often), so you might have to wait a while for the price to drop. Right now this product is a recommended 'wait'. 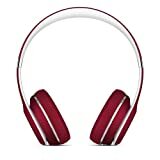 Compare the current price, savings (in dollars & percent) and Buy Ratings for the top Beats Headphones that are closely related to Beats Solo3 Wireless On-Ear Headphones - Gold. Here is how Beats Solo3 Wireless On-Ear Headphones - Gold compares with other leading Beats Headphones. Beats Solo3 Wireless stays true to its predecessor with bold styling and a streamlined design. The on-ear, cushioned ear cups are adjustable so you can customize your fit for all-day listening comfort. The headphone’s fast-flowing curves and pivoting ear cups complete this natural fit, designed for optimal comfort and sound delivery. Beats by Dr. Dre is a leading audio brand founded in 2006 by Dr. Dre and Jimmy Iovine. Through its family of premium consumer headphones, earphones, and speakers, Beats has introduced an entirely new generation to the possibilities of premium sound entertainment. *Requires iCloud account and macOS Sierra, iOS 10, or watchOS 3 FeaturesWith up to 40 hours of battery life, Beats Solo3 Wireless is your perfect everyday headphone. 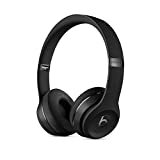 Connect your device via Class 1 Bluetooth for wireless listeningPremium playback and fine-tuned acoustics maximize clarity, breadth, and balance.Adjustable fit with comfort-cushioned ear cups made for everyday use. Beam-forming mic for optimal call clarityTake calls, control your music and activate Siri with the multifunction on-ear controls.